The Good: Gerard Butler definitely does a good job at just being an action star. (Please give up doing romantic comedies, Gerard, PLEASE!) The action is consistent, and keeps you engaged the whole time. One of my favorite aspects of any good action film is when the hero and the villain are equal (to a degree) in their skill levels. Rick Yune (the Korean bad guy) does a good job at giving Gerard's character a viable enemy to face. The Bad: It's predictable in many areas, and the story line really isn't that deep. 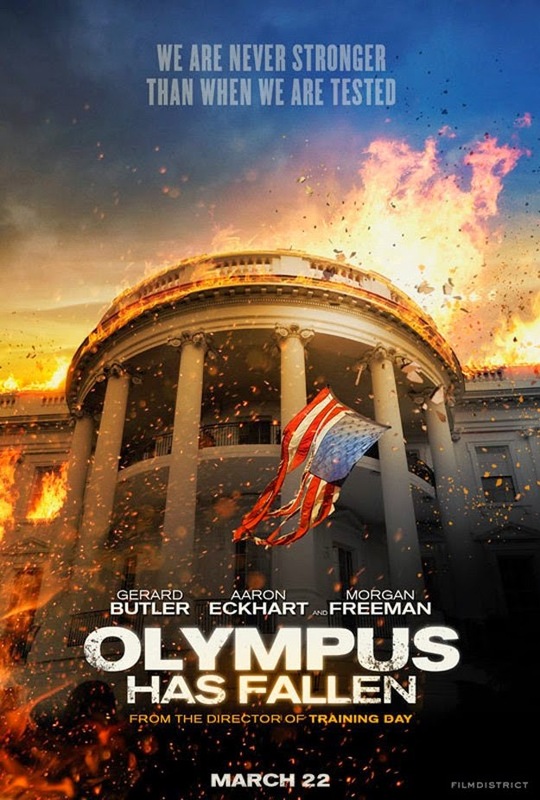 A lot of the security breaches that are exposed in the White House security are simply unrealistic...BUT you go with it for the sake of the movie. The Reason: This is just a pure action film. It pretty much delivers what you expect. If you don't feeling like thinking, and just want to see guns shooting and things blow up, this is the movie for you! Dare I say, as an action film, this was a tad bit better than the latest Die Hard film. *shrugs* Given that the only competition in theaters this weekend was the movie "Admission" I think it's pretty safe to say this movie would be the ideal one to see. It's good, but not great. If you see it in the theaters, I doubt you'll regret it at all.